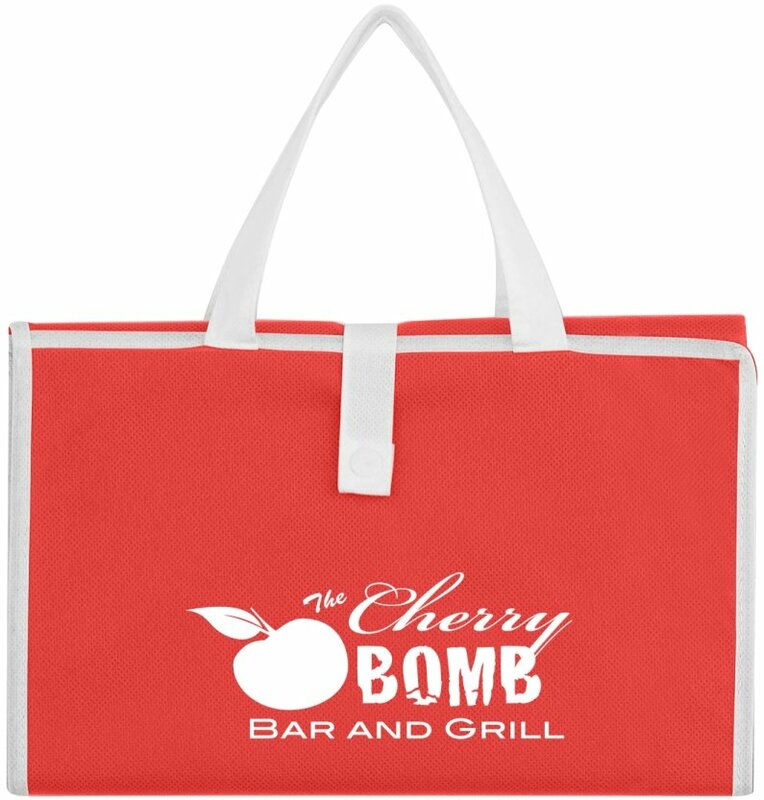 Get your logo on Promotional Beach Mats - advertising. Apps include resorts, hotels and promotional products. Constructed from Non Woven Coated Polypropylene. Carry bag unfolds to reveal a adult size beach mat. Folds back into self contained bag, easy transport. Beach Mat is 32" W x 63" L. Five Mat/Bag colors. Normal delivery from date of a order is 3 weeks. Price includes a one color imprint area 6 1/2" w x 2 1/2" h.
color add setup and running charge of $.55 each. Logo does require Illustrator ai, eps or pdf art.